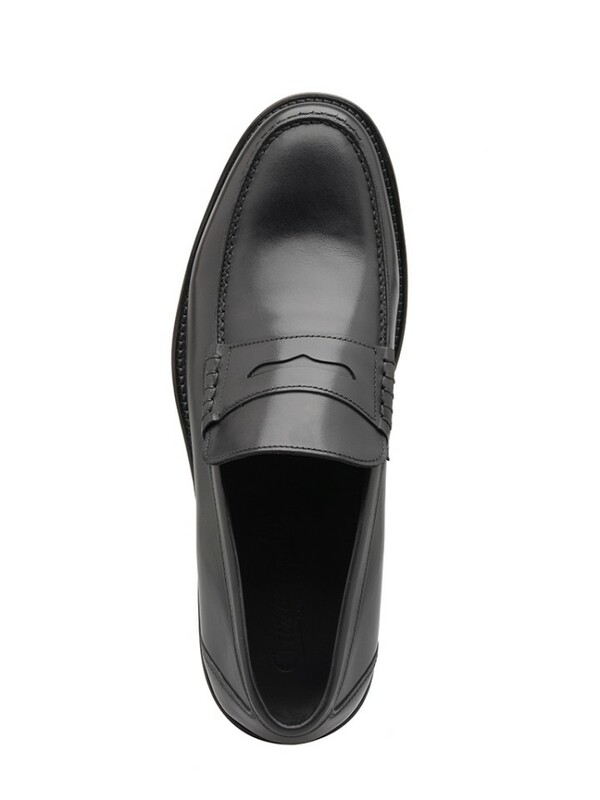 A classic loafer is a go-to style that can effortlessly bridge all seasons. 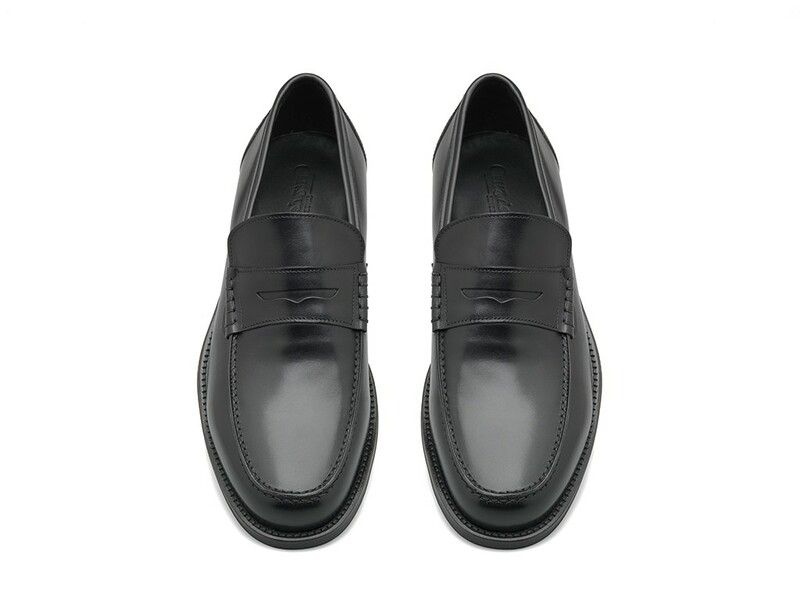 Expertly hand crafted by our artisanal shoe makers, this sartorial slip-on is crafted from the smoothest black calf leather and features a subtly stitched apron and traditional penny loafer styling. Finished with our durable sole Golf, a sturdy long-lasting rubber sole.